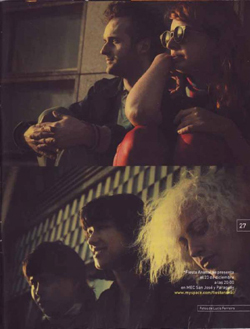 Discription: Limited edition of 250 copies, 39:00 mins, 3 pages booklet. 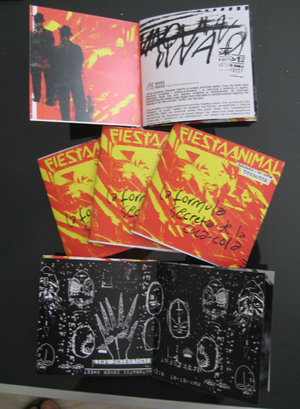 Fiesta Animal is a collective of artists [musicians, painters, interfering individuals…] from Uruguay, that join together their artistic suggestions and give us their own musical Idiom. 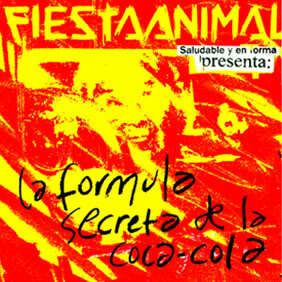 Music that is deep influenced from 80s and 70s industrial and psychedelic music but also mixed with Latin American culture. The unorthodox way of the recording and the production, using tape recorders, give us a sense of an undiscovered legendary old tape. Lo-fi aesthetic meets freak out psychedelia and tropical rhythms. A big variety of instruments like metalophono, percussions, guitars, samplers … and the characteristic vocals of Ana Arioni and Adriana Navarro give us as a result, a musical construction that sounds more like a fiesta that leads you to spiritual trance. This cd-r comes out with a three page booklet full of graphic designs by Julia Saldain using scanner, paints, fax, pics, collages and much much more!